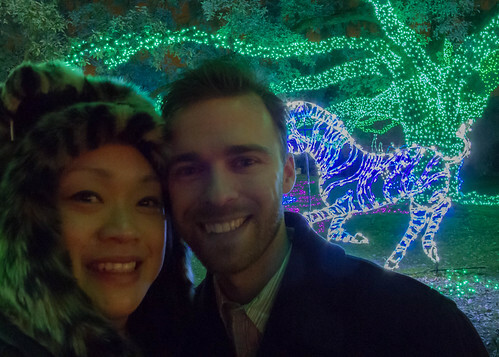 Nicholas and I went to the Houston Zoo again this year! THIS time I remembered to bring a camera! 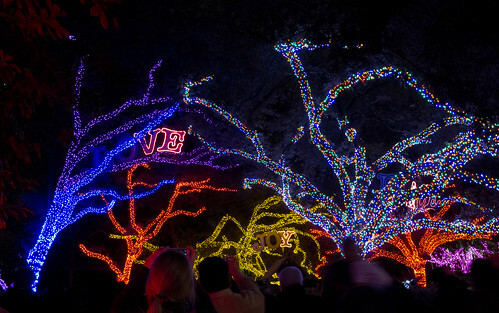 I love that they wrap the trees up in lights. This year they had a whole new section we had to skip out on because the wait was just too long (30 mins) to get in! Next year we'll be there even earlier! Love the lights. And your hat!